recovery forward in the months ahead. offset, to some degree, the pent-up demand starting to unfold. not overbuilt during the boom years and where job growth is strongest. 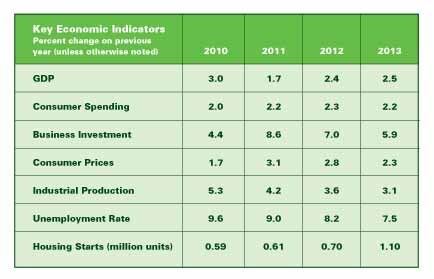 continue to expand, suggesting a broadening pipeline of manufacturing activity. States have helped U.S. exports. discretionary spending. 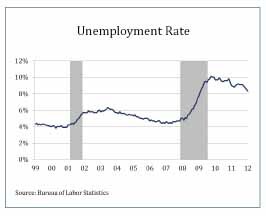 Longer term, deficit spending and growing U.S.
also could threaten to derail the recovery. significant implications for large segments of the U.S. manufacturing base. becomes a major supply of domestic energy. natural gas liquids, however, has spurred a wave of announcements for new U.S.
increase in U.S. ethylene capacity have been announced by major producers. report suggests that lower feedstock and energy costs could save U.S.
been in decades, which bodes well for a long-lasting resurgence in U.S.
nuclear disaster at Fukushima in 2011, natural gas demand in Japan has soared. from well head to burner tip or LNG terminal. 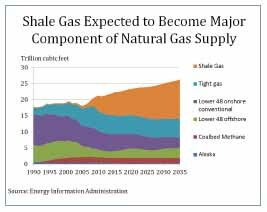 that capitalizes on domestic shale gas resources.